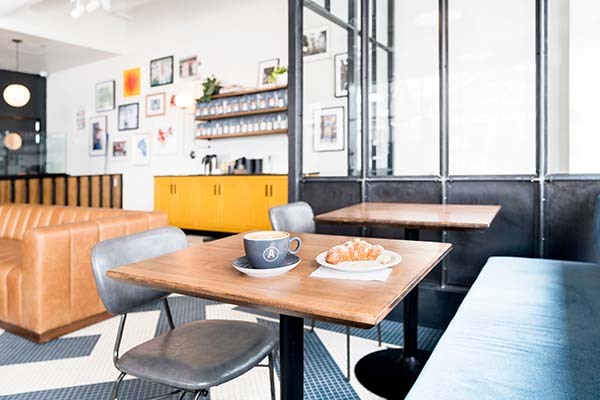 At Calgary’s Analog Coffee, average is completely unacceptable. 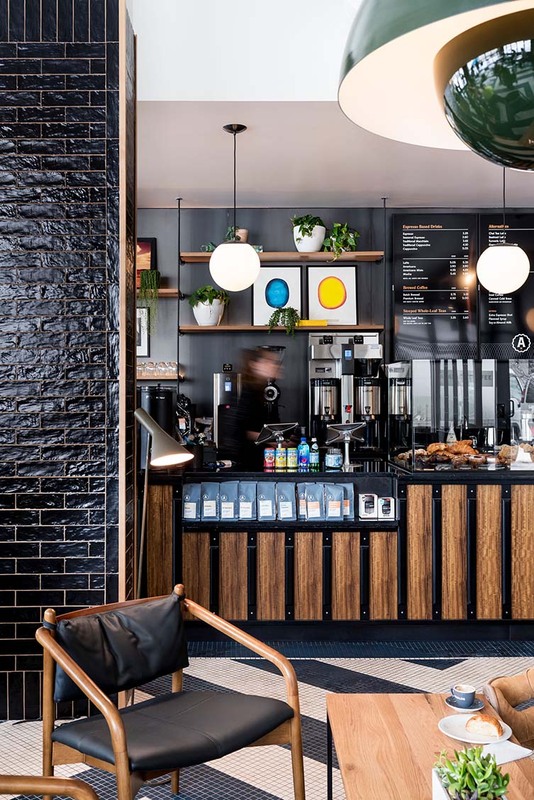 From striving to produce the finest coffees for their customers to providing aesthetically pleasing surroundings to enjoy them in, this is a community where details matter. 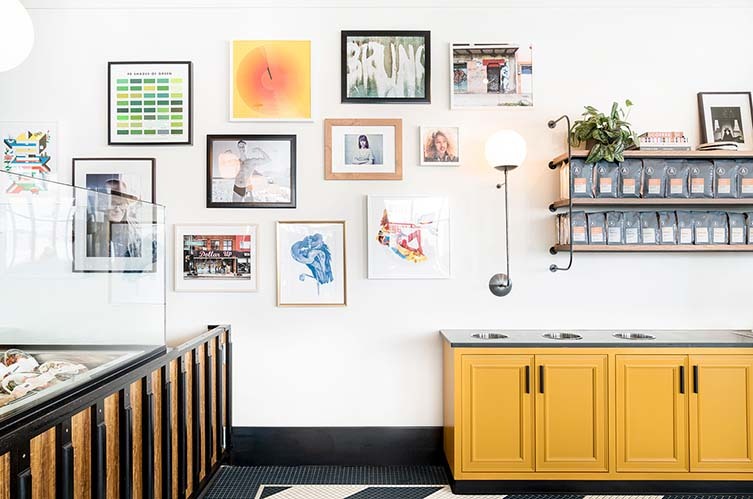 Locally-based interior design studio Sarah Ward Interiors are the team behind the design for the brand’s Mahogany outpost which takes the style-conscious Instagrammable-yet-cosy feel from their 17th Ave flagship store and transplants it to the city’s Westman Village. 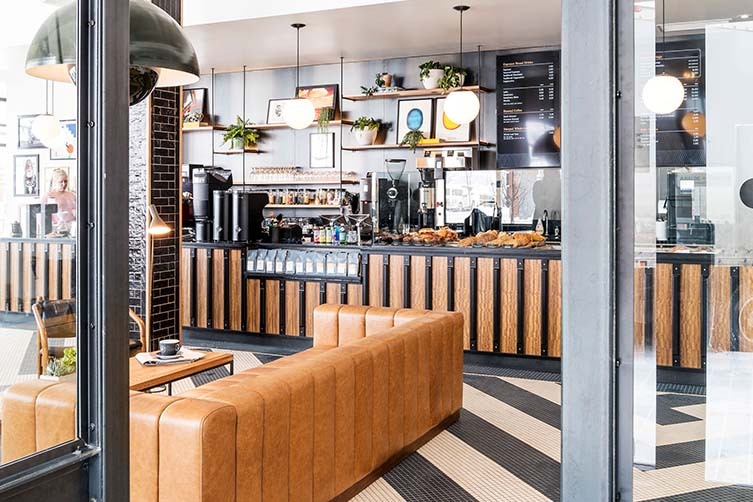 Each Analog café, though, arrives with its own defining details, and Analog Mahogany delivers hard on those details that matter. 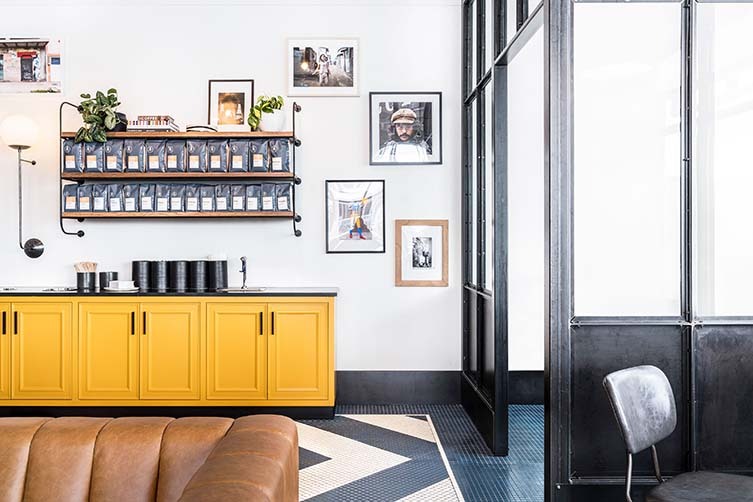 Featuring a vintage-inspired shelving system, an eclectic mix of seating—that combines steel framed chairs with soft loungers and a coffee coloured, channel-tufted leather sofa—stark white walls filled with art, a strong use of wood, and a boldly patterned cream and navy mosaic floor that defines the seating area and provides a punch of colour, this outpost for the Calgary third wave coffee aficionados sure is easy on the eye. 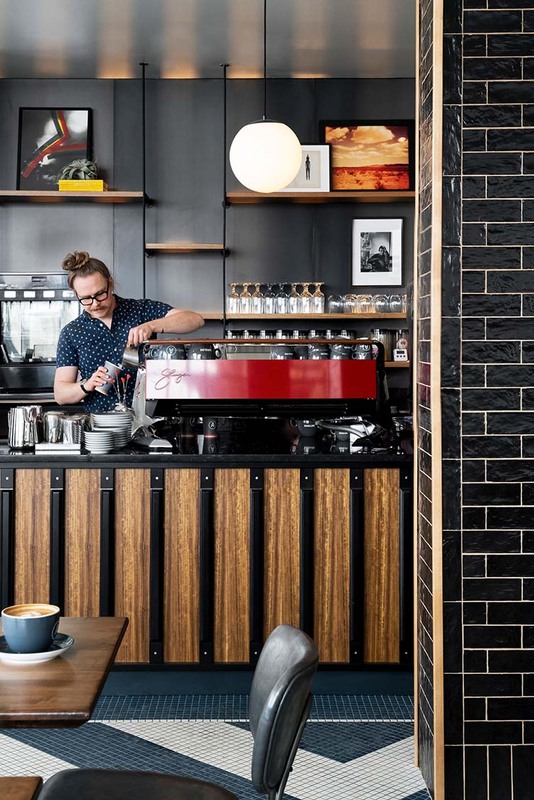 The coffee bar is prominently placed and is the ideal stage for the café’s bright red Slayer Espresso machine and all the accessories that adorn it; as well as drawing focus to the tasty selection of in-house baked pastries on offer. 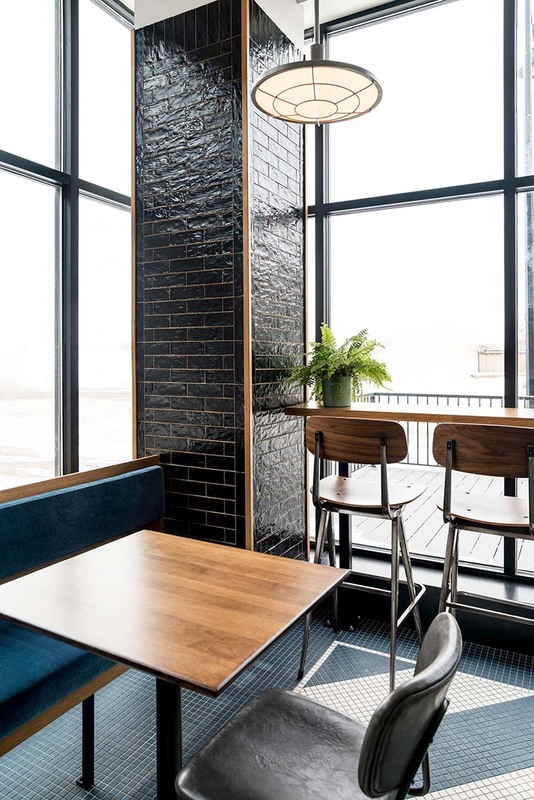 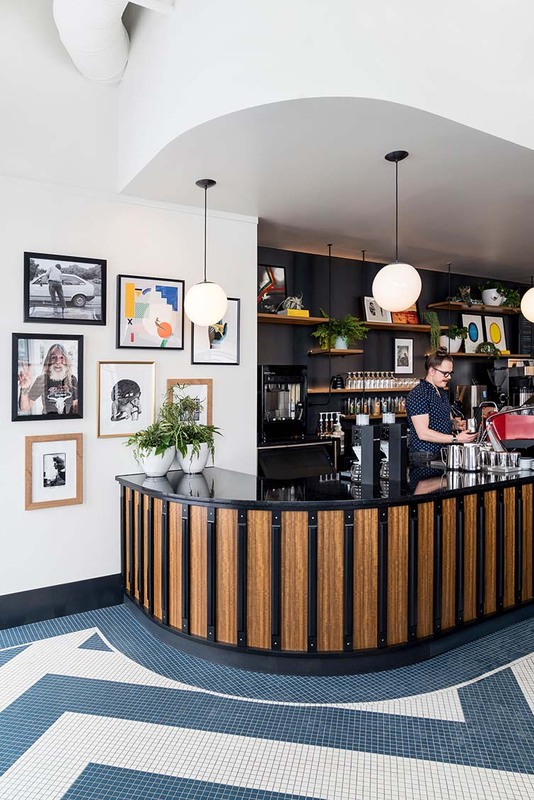 For artisan coffee and light fare (the café also has a drinks license to accompany the food with something a little harder) in a location that fuses downtown vibes with suburban comforts, Analog Mahogany has you covered.